Do you have any tips for living with migraines? 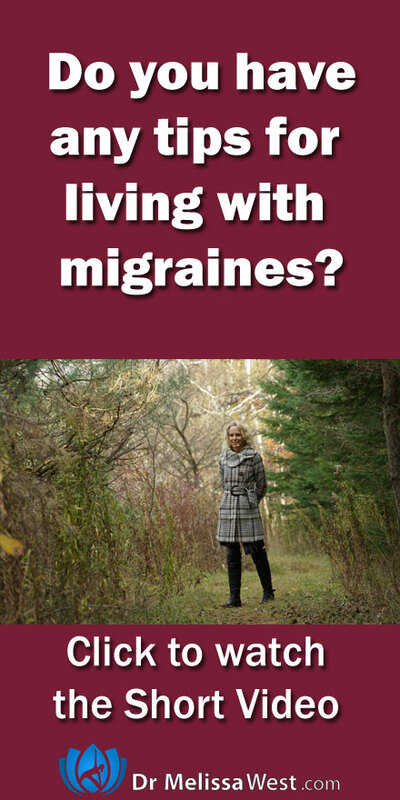 This is another one of the most frequently asked questions I get since I have lived with headaches my whole life and chronic migraines since January of 2012. This was the first yoga class that I created when I first started getting migraines. Here is a yoga class I created specifically for migraines. It is great for relief and prevention. I highly recommend Teri Robert’s book, Living Well with Migraine Disease and Headaches by Teri Roberts. This book saved my migraine life. I have been having fantastic results with releasing fascia and hope to do more training on this to offer even more of this to our members. Each person with migraines is unique, which is why I haven’t offered a prescription for migraine juice. When I see “migraine cure” juices on the internet I cringe. Each person with migraines could be triggered by any one of the ingredients in the juice. So first off you need to go for food sensitivity testing. This will allow you to know what foods to eliminate from your diet so that you don’t juice ingredients that may trigger migraines. I had food sensitivity testing done at the onset of my migraines and I stick to this as closely as I can. It makes a big difference in cutting back on the severity of my migraines. So for example, many migraineurs can’t tolerate citrus. I can however tolerate lemon and lime (but not oranges or grapefruit) so I include lemon and lime all the time in my juices. You may not be able to include them. Once a migraine has begun I baby myself. I give myself whatever I want. I juice something sweeter usually. More apples. Greens, ginger, lemon or lime, lots of mint. Another cocktail that is good before dinner is 1 beet, 1 carrot, 1 apple, some greens, ginger and nutmeg over top. This is also good for migraines. When I have a migraine I don’t practice yoga. I go to bed. I sleep. I might do some restorative yoga if my migraine is low level. I also focus on classes that are grounding if I’ve been dealing with low level migraine for days. I will list my favourite yoga classes for migraines (acute) and migraine prevention on the membership site in a separate post. I also love my Migra Cap. This is a black ice-hat that you wear to block out light and freeze your head when you have a migraine. It is a fantastic non-medicinal solution to migraines.